Roger Duff’s (1977) typology of Polynesian adze heads has become a referential guide for archaeological research in the Pacific, as demonstrated by contemporary efforts to quantitatively scrutinize the validity of Duff’s morphological types (Shipton et al. 2016). Although discussions of morphologically distinct adze head types occasionally point out technological idiosyncrasies, an exclusively technological approach to adze head production is virtually non-existent in the New Zealand literature. This paper uses a replicative approach to hammer-dressing tools, a common manufacturing method in Pacific adze technology, to create an analogue for a previously misidentified tool type recovered from the early New Zealand site of Shag River Mouth. Swieton, M. (2018) “On the Identification of Opportunistic Hammer-Dressing Tools from the Pacific”, Journal of Pacific Archaeology, 9(2), pp. 89-94. 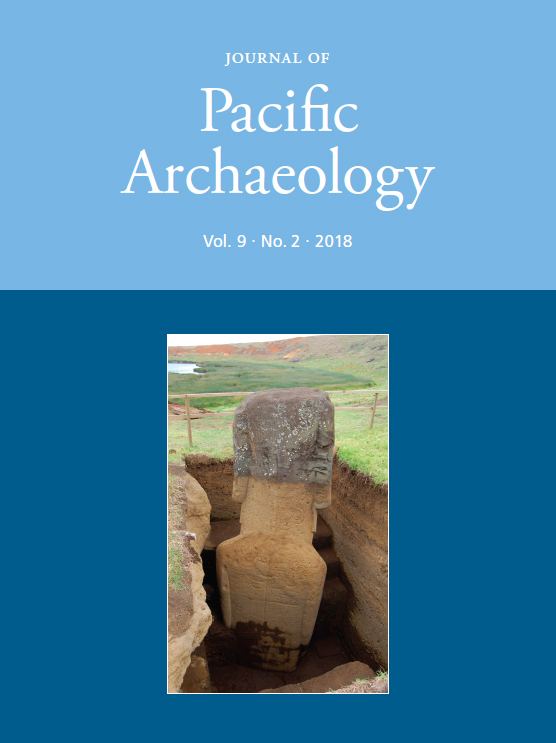 Available at: https://www.pacificarchaeology.org/index.php/journal/article/view/240 (Accessed: 22April2019).